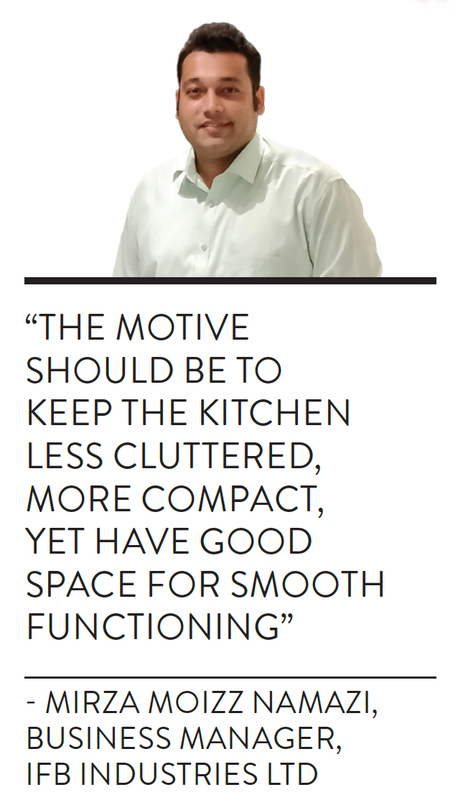 Of all the living spaces, the kitchen represents best, people’s attitudes and their culture,” writes Prof S Balaram, inventor, designer and former chairman of the National Institute of Design (NID), in his book Thinking Design. Yet the kitchen is often the first room to be abandoned when the vagaries of age set in. The good news: a nip here and a tuck there, based on necessity, budget, and the size and shape of your kitchen, can make the kitchen more accessible (and safer) in the silver years. Mirza Moizz Namazi, business manager, IFB Industries Ltd, shares his takeaways across key parameters. The most important aspect of kitchen design is to complement the height of the user. The cabinets, countertop and appliances should be placed at a level that is easier to approach and requires less or no effort to operate. The height of the countertop should be at a level that doesn’t require silvers to bend while working. 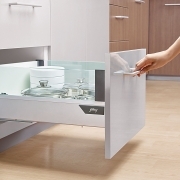 Cabinets should be placed on the walls rather than under the counter, so bending is minimised. They should be enabled with soft-closing mechanisms that don’t require much effort when opening or closing. In case of a wheelchair-bound silver who is active in the kitchen, the height of the surfaces should be adjusted according to the height of the wheelchair. Cabinets should also be placed low enough to be accessed while in position. Support via handles should be given at places for the person to travel from one corner of the kitchen to another. The chopping station should be kept in such a manner that the chair on which the person is sitting slides in easily. For people with poor eyesight, the colours of the cabinets should be bright and contrast with the rest of the kitchen so that they are easily differentiable. For the washing area, single-lever faucets that can extend according to the height preference are useful. The counter edges should be kept smooth or rounded to avoid injury. 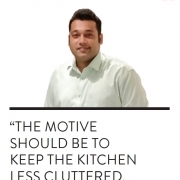 The kitchen should be made as automated as possible to avoid excess work. Optimal lighting includes windows in your kitchen that also allow ventilation. The artificial light source should be placed in such a manner that the cabinets don’t hinder the light. Wall cabinets and shelves can have spotlights fitted inside for easy viewing of containers. And spotlights can be attached at the bottom panel of the cabinets, which keeps the kitchen lit even at night. A tall unit can accommodate many containers and utensils, so it’s convenient to pick up products from one place; similarly, a bottle pullout can accommodate your ketchup, jams and pickles. Check all electrical cords regularly for frays, cracks or kinks, including extension cords. In fact, extension cords are only a temporary solution, and their use should be minimised. Cords should be firmly plugged into outlets—if the cord is loose and can pull out easily, choose a different, more snug outlet. Do not make modifications to a cord’s plug at any time; do not clip off the third prong or attempt to file down a wider prong to fit in a different outlet. Unplug unused appliances and stow cords safely out of reach. Always follow appliance instructions carefully, and do not attempt amateur repairs or upgrades. Keep all electrical appliances away from water. Do not operate any electrical appliance with wet hands or while standing in water. Bright lights, rounded edges and anti-slip flooring are crucial while designing or modifying kitchens for silvers. Tall units and pantry pull-outs allow silvers to scan all items at a single glance versus scouring through numerous cabinets. 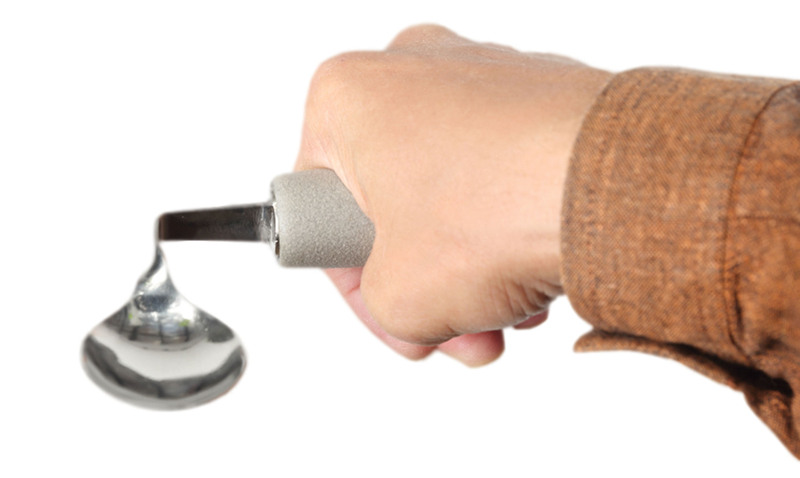 A single-lever faucet is a blessing for arthritic hands; a sprayer attachment is an added convenience. While installing box drawers, ensure the channels allow full extension, thus minimising the need to bend or stretch to reach the deep end of the drawer. While looking for corner solutions, opt for pull-out or swing accessories. 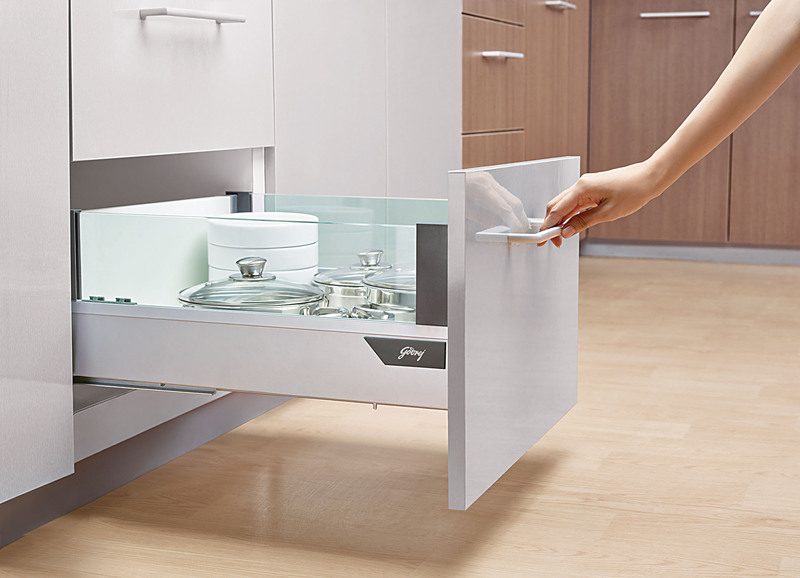 If you have a wheelchair-bound silver at home, don’t opt for an island kitchen as it can obstruct movement. Adjust the standard countertop height from 36 inches to 30 inches, so that it’s easier to work from a seated position. Make sure the kitchen doors are at least 36 inches wide; 42 inches would allow smooth wheelchair movement. Swing-clear hinges on doors provide maximum access. Store frequently used items on the countertops and base cabinets. Lower the height of the wall cabinets and increase accessibility by installing pull-down shelves. Focus on the ambient lighting in the kitchen. Make sure lights are placed strategically so that silvers can walk comfortably without knocking into things. Place the stove close to the sink but ensure you leave some counter space between so that your kitchen hob isn’t too close to the wet area but is within easy reach for rinsing vegetables, draining water, etc. Make sure the stove/hob has front or side controls. 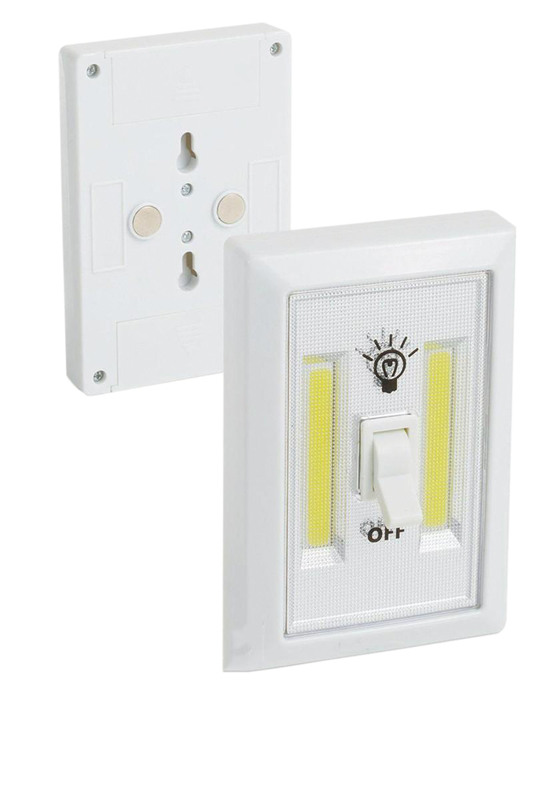 Change old toggle switches to rocker light switches to operate them effortlessly. Always go in for large or easily discernible buttons and displays.  Magnetic switch lights can be used ​for under-the-cabinet​ ​lighting​. 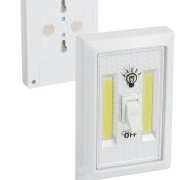 They provide enough light to help you rummage through the corners of your cabinets with ease​. 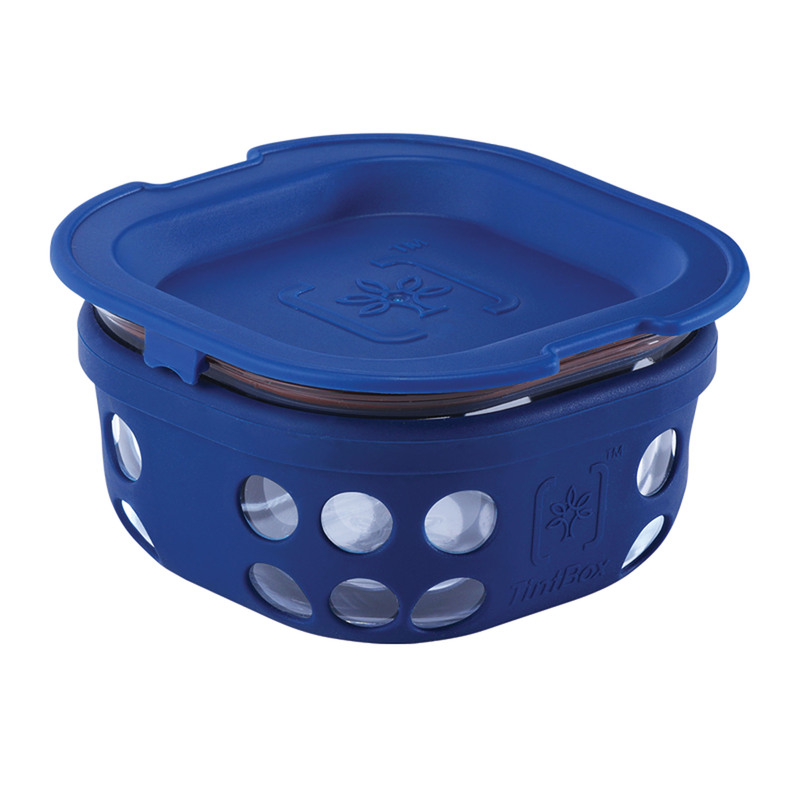  Ensure pots, pans and mugs are lightweight. Further, glassware can be fitted with anti-slip silicone covers to avoid breakage. 	If you’re remodelling your kitchen, widen your doorway and leave enough floor space to make it wheelchair-accessible, if that’s how you roll! 	Lower a section of the kitchen counter to a height that is comfortable for you to sit down and prep your ingredients; while you’re at it, get your contractor to broaden the surface to give yourself more workspace. Ask your contractor to leave out a cabinet under this section to make knee space for a stool or for a wheelchair. 	Get your plumber to change the position of your faucet from the back of the sink to the side of the sink for easy accessibility. 	Lower the placement of your wall cabinets so you can reach the topmost shelf without too much effort. Your contractor will help you settle on the right height. 	Go for a kitchen counter with rounded edges or get your mason to mould the edges to make them safe to grab or lean on. 	Contrasting colours of the countertop, cabinets and flooring act as a visual cue and help with depth and space perception. Even a contrasting cutting board on the counter makes the surfaces easier to distinguish. 	Reposition electrical outlets near the sink to a place with zero water exposure. 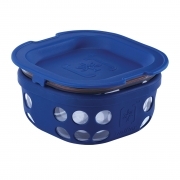 	Change lids and knobs that have to be gripped and twisted to mechanisms that can be grasped and pulled. 	Put a thick, flat, tight rubber band around jar tops for easy grip. 	A little alarm clock to accompany your cooking goes a long way; if you have to step away from the stove while boiling the milk or cooking the dal, the ring of the alarm will remind you to get back into the kitchen and turn off the fire. But don’t forget to set the alarm before stepping out! 	Purchase appliances with large or easily discernible buttons and display.